Minus-8 Layer 24 Limited Edition Giveaway! CONGRATULATIONS TO EDWARD. PLEASE CHECK YOUR EMAIL AND RESPOND WITHIN 24 HOURS. This watch is currently SOLD OUT online, but you can win it for FREE! The Layer 24 embodies the clean restraint and modern industrial spiritual of MINUS-8. Layer 24 is the result of an uncompromised vision to build a watch of individually layered stainless steel. This process took over a year to develop and resulted in a striking watch that communicates luxury and precision. 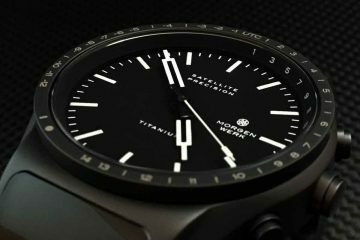 The result is a stadium effect of 6 layers of 316L bonded steel flowing from the exterior to the interior of the watch face uninterrupted in one unified gesture. 1- Comment in the section below and tell us your favorite aspect of a watch. All comments must be made on this page only. 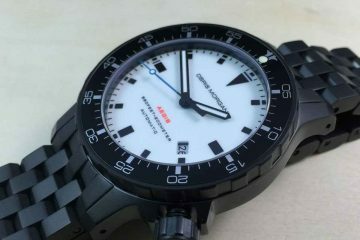 Comments left on any of WatchReport.com’s social media pages promoting this giveaway will not be included in the contest. All comments must be registered with your valid email address as this is how we will contact the lucky winner! Contest runs now through December 22, 2015. I really love watch fitting my daily needs and look. I love the overall fit of the watch. How well it becomes part of me. Design, fit, and finish are key but if it doesn’t meld to me it just becomes an annoying bangle. I like pilot watches that have a classic design, good reliability and durable performance like the Breitling Navitimer 01. I love a nice well detailed dial that looks better the closer you look. If Stormtroopers had an awesome everyday watch, this would be it! It’s simple, seductive, and totally stupendous! I like the fact that the watch is an automatic chronograph. Obviously the design and the layers in the dial! Favorite part of a watch is the face. I specifically like watches that can add depth and layers in the face, like sinking the added dials of a chronograph for example. The best aspect is simplicity – clean design and only the necessary things displayed on the dial. I Love my husband in a watch, and he loves them. He has started having quite a variety to go with day and outfit . It really becomes part of you!! My favourite aspect of a watch is the dial. I especially look for the level of finish, attention to smaller details, depth of the dial and richness of colour. I admit to a particular soft spot for blue dials. 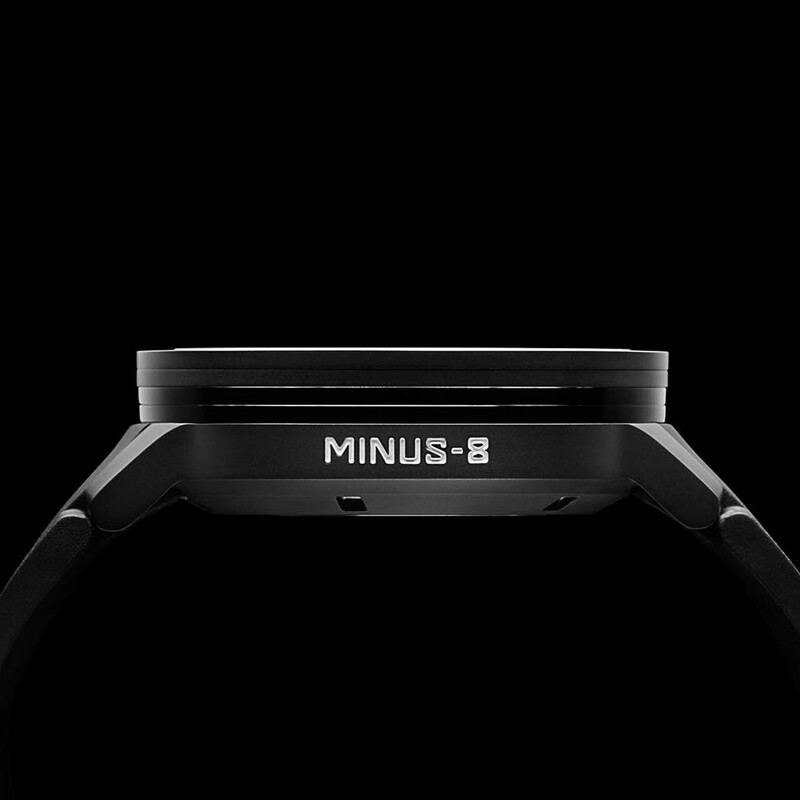 The Minus-8 Layer watch ticks the boxes for dial quality and the various levels are very well executed. Good luck to whomever wins this watch, they won’t be disappointed. Love the dial. The layers add so much deminsion to the watch. The overall look is my favourite aspect. Features an movement are important but if the watch doesn’t look good they don’t matter. My Favorite aspect is the Dial and Its Water Resistant feature. As a nurse the Dial is important timing the Vital signs and many other things and we always wash our hands so i will have worries of getting it wet. For me, the most important part of the watch is a combination of the dial and hands. It is the ‘face’ of the watch and you will have to look at that face for a long time. As with people, I prefer a clean, friendly face that is open and beautiful. If the face is beautiful you will want to look at it more often. I followed that recipe with my wife and I still enjoy looking at her, even after all these years. its all black. I loved! The main aspects I look for in a watch are the look & feel, movement and last but not least its heritage. 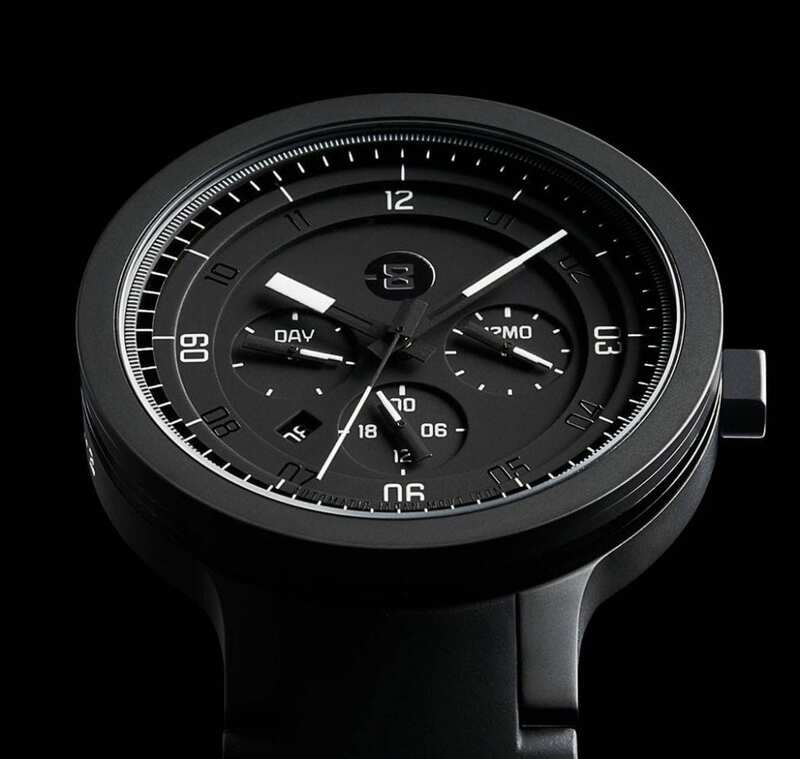 I really like the simple design of the watch as well as the all black finish. Also the words minus-8 on the side is really cool. Minus -8 have put together something special. This piece is a masculine work of art. A bold statement that can be worn anywhere. All Black and bold design! – Automatic movement: there is nothing better than the feeling in the morning when you adjust the time of the watch, and give it a whirl to get it going for the day! Part of the morning routine! – Clear and simple views of the face. Too much going on and it just makes everything a little confusing. – Nothing can go wrong with black :D.
I love domed glass. Timepieces with domed glass have a great organic feeling and appearance! I love the simplicity of this watch. Clean design. I love the overall look of the watch. I like the simple color scheme. It adds to the legibility of the watch. My fav aspect of a watch is the dial. I like an uncluttered design with multi layered effect that gives depth to the whole viewing experience. I like the blacked out, clean, uncluttered look of it. Apart from the movement, my favorite aspect of a watch is the case design. Case designs can set a watch apart from the rest of the watch companies, and Minus 8 does that with this watch. This watch would look great on my sons wrist! Thanks for the opportunity and best of luck everyone! The design of the face of the watch is my favorite aspect. My favorite aspect is the overall versatility of the watch. The overall design or look and feel is most important. How the elements work together determines whether one is interested in knowing more about the watch. In this case, the design works well making a desirable watch. Big bold black and beautiful. Clean lines on an surprisingly uncluttered dial. Great movement too. I love automatic watches. 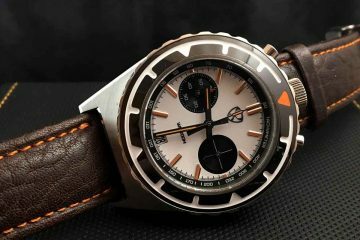 You will have this awesome watch for life without having to change the batteries. It also helps to stop contamination. Beautiful! everything about this -8 is what I want in a watch. I like the shape of the case, and the way it flows into the band, with or without lugs. The clean, mimimal design is awesome.